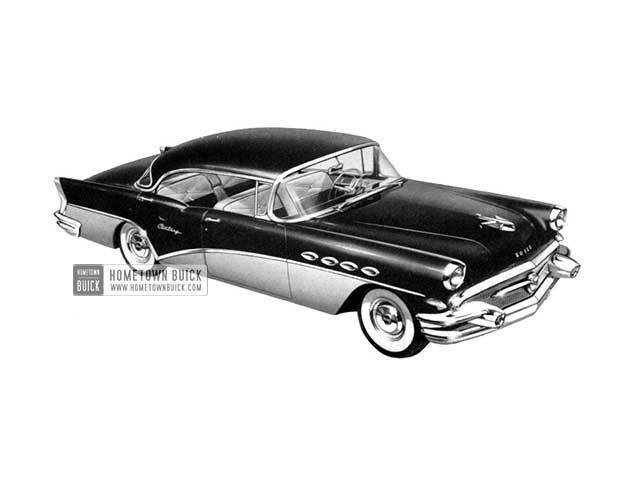 The 1956 Buick Century Riviera (Model 66R) brings you not only the command of thrilling performance but command of rakish styling. With a ride of velvet luxury on a chassis made stronger than ever. With steering of new ease and aliveness. 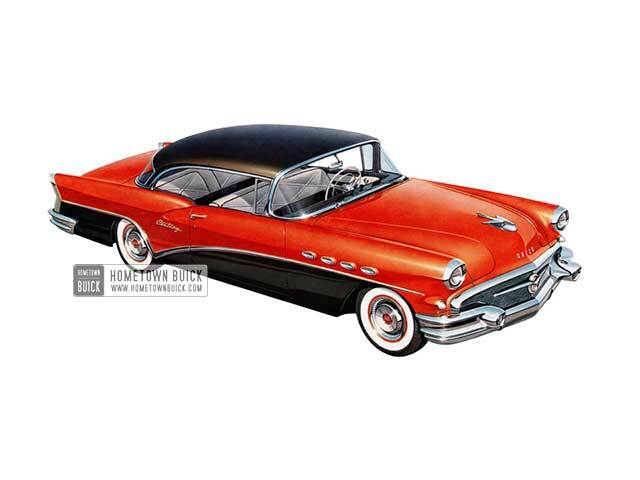 In the dashing 1956 Buick Century Convertible (Model 66C), you have a choice of four striking color selections of interiors in soft, supple leather. Windows and horizontal seat adjustment here are electrically controlled. In all Centuries, you get Variable Pitch Dynaflow, foam rubber seat cushions, electric clock, and many other features as standard equipment. The 1956 Buick Century Deluxe Riviera Sedan (Model 63D) out-hustles, out-styles, and out-rides cars costing a thousand dollars more-yet its list of owners shows an impressive percentage of buyers who found Century price surprisingly close to that of many models in so-called low-cost lines. 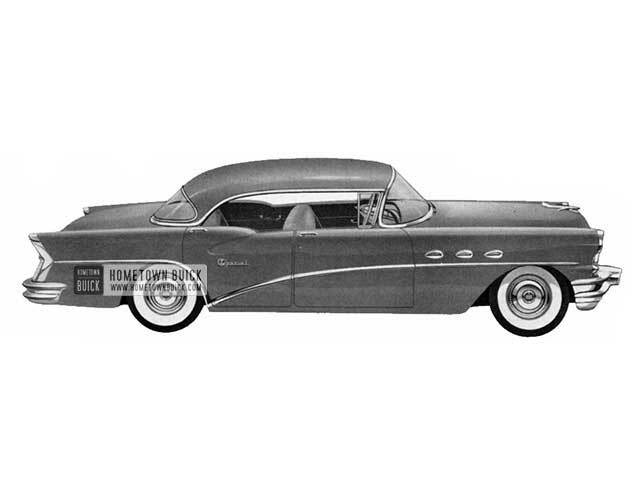 Among the many features that are yours to enjoy as part and parcel of the fine 1956 Buick Roadmaster Sedan (Model 72) and without extra cost - is the double-action take-off of the new Variable Pitch Dynaflow - a new In-line Safety Power Steering System, and dual exhausts that deliver even more horsepower to rear wheels. 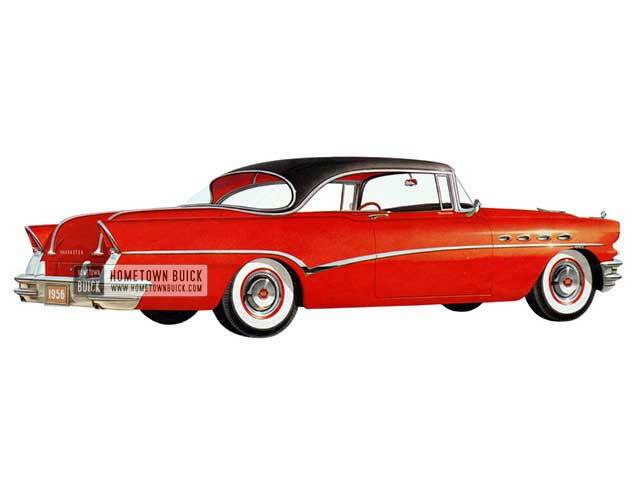 The 1956 Buick Super Riviera (Model 56R) ride is the finest ever, with a more massive frame, the new deep-oil cushioning of the direct-acting rear shock absorbers and a new over-all riding smoothness - plus a more responsive Safety Power Steering. 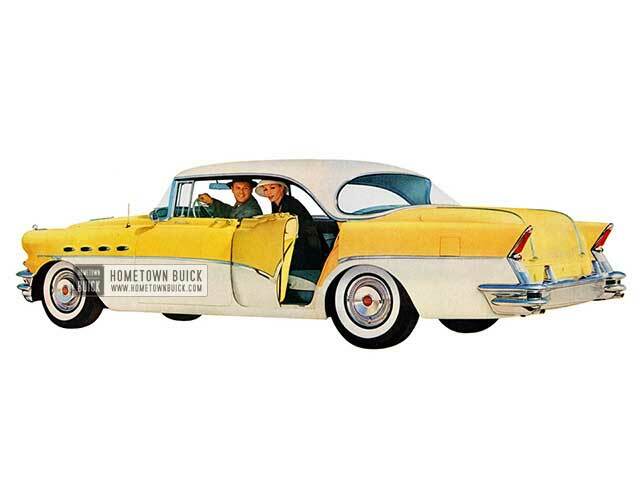 The sports-car snap of the swift-lined 1956 Buick Super Convertible (Model 56C) is highlighted by rich, all-cordaveen interiors. And convenience is the keynote with windows and the horizontal seat adjustment electrically controlled. 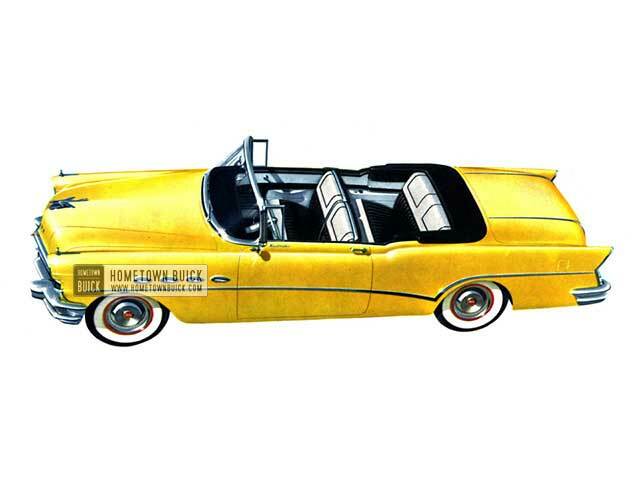 In all Supers you find foam rubber seat cushions, automatic trunk light, electric clock and new sealed beam headlights, at no extra cost. 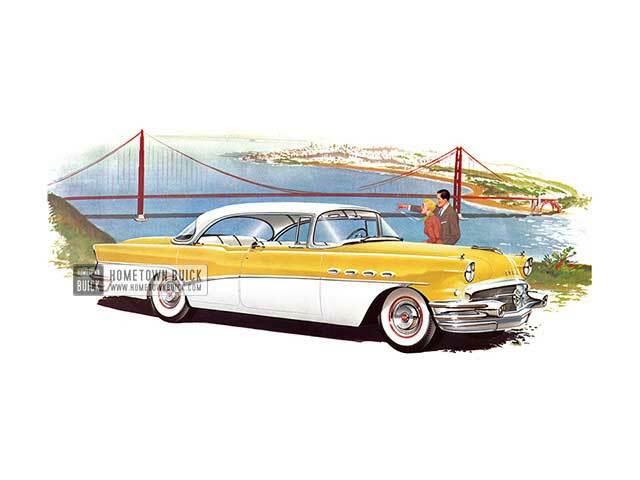 You will find that in pure spaciousness and great performance, the 1956 Buick Super Riviera Sedan (Model 53) is the big buy of the middle price range. Styling takes its theme from the sky-borne. Horsepower reaches a surging 255. And the new pickup and gas savings of Variable Pitch Dynaflow are yours at no extra cost. 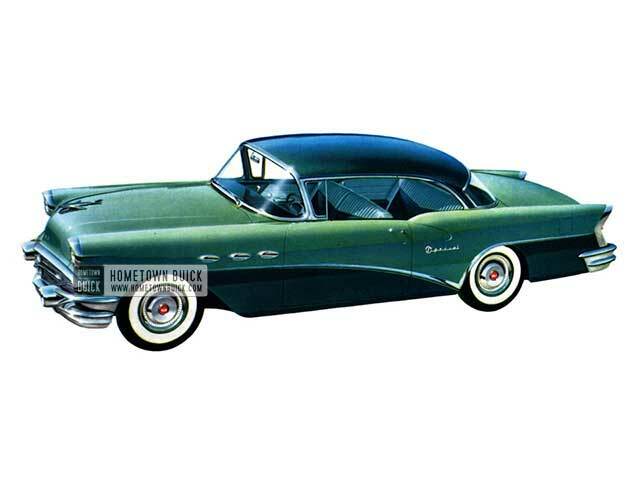 Its terrific power-its colorful interiors compact and maneuverable roadability - and its remarkably moderate cost for a car of such character - all combine to make the 1956 Buick Century Riviera Sedan (Model 63) a most formidable competitor. Spaciousness is certainly the byword for Super. Hiproom in the 1956 Buick Super Sedan (Model 52) measures 64.9 inches across the front seat- 65.7 inches across the back. And headroom, legroom and shoulder-room are just as generously proportioned. And matching the roominess of Super interiors is the beauty of its new cordaveen and patterned nylon upholsteries. 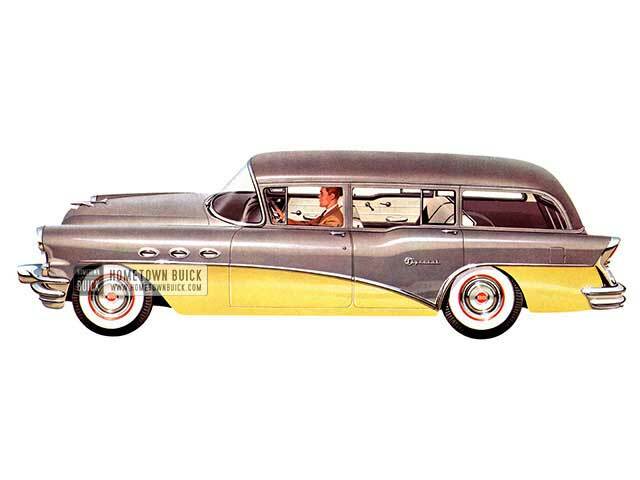 Thrillingly beautiful-mightily powered-wonderfully handy-and priced for the thrifty is the1956 Buick Special Estate Wagon (Model 49). There's 79.8 cubic feet of load space here - 94.4 inches depth with tail gate dropped. You can also order a rear seat which folds away by one-third or two-third sections for greater load capacity while carrying rear seat passengers. 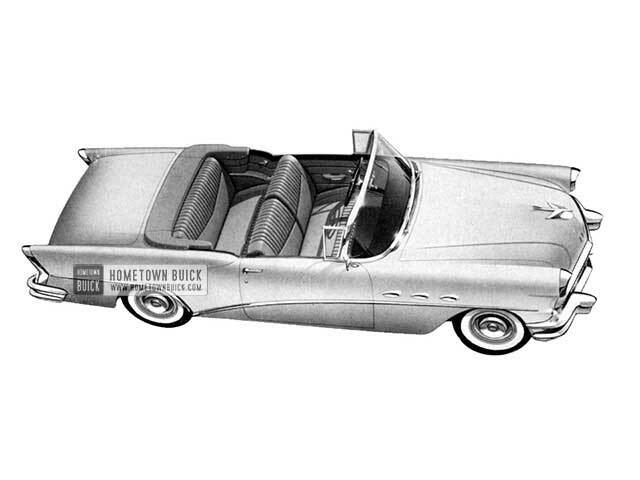 In the 1956 Buick Special Convertible (Model 46C), you enjoy a brand-new experience in big car ride. 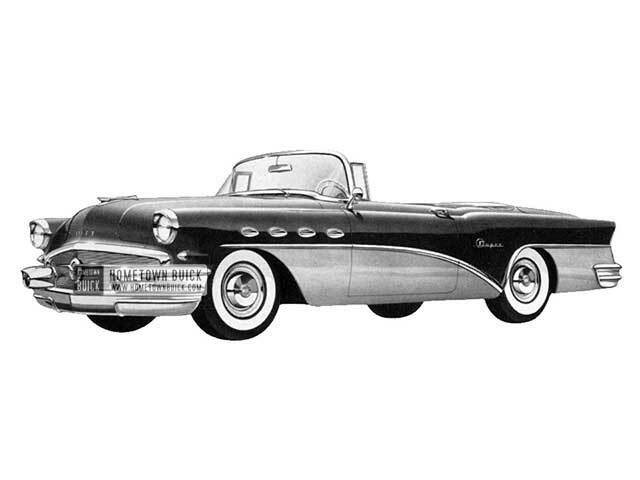 A ride oil-cushioned with Buick's new direct-acting rear shock absorbers - made even easier handling with Buick's new steering linkage - made even safer with bigger brakes, a more rugged frame, a stronger rear axle assembly. 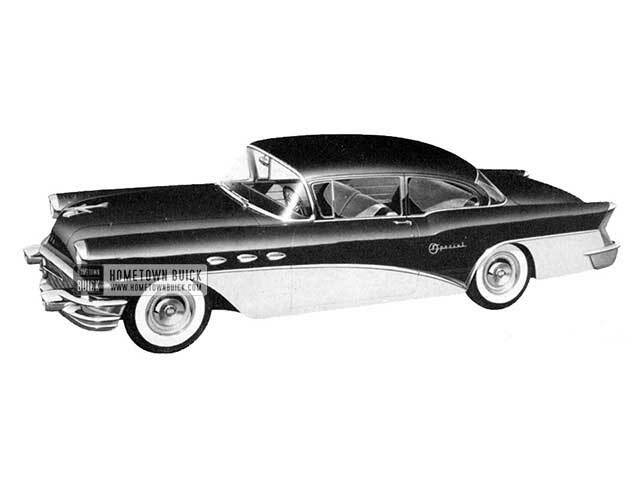 The 1956 Buick Special Riviera (Model 46R) is beautifully big in style with all the 1956 Buick glamour notes of flying V grille - rakish rear fenders - new instrument panel - 3 rich choices of interiors. And it's tremendously big in performance - with 220 horsepower ready and waiting to serve you from a new larger engine. 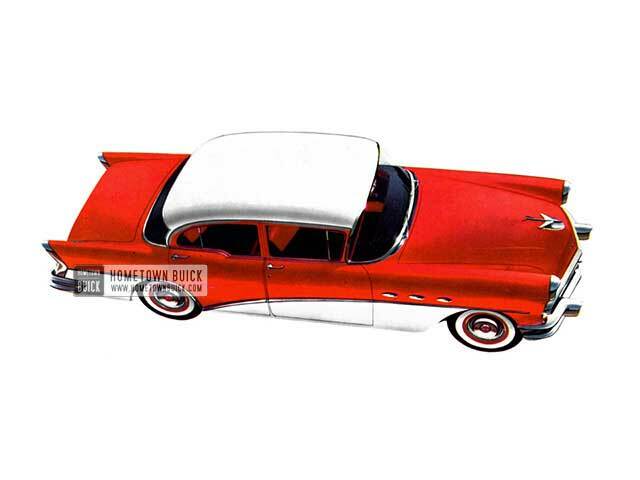 This is Buick's lowest-priced car - the 1956 Buick Special 2-door Sedan (Model 48). 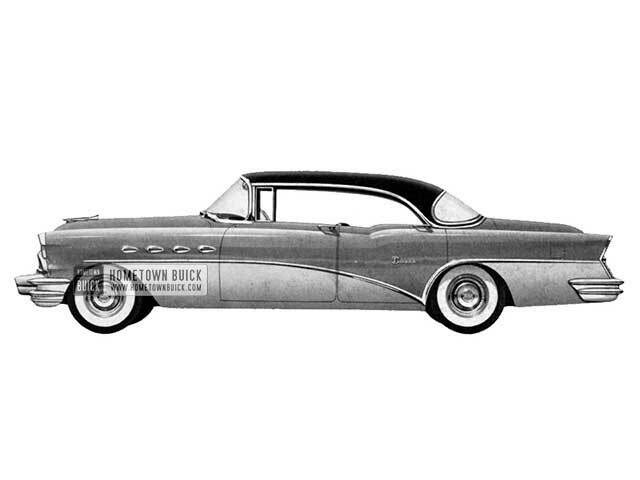 It's sweep-ahead styled, 6-passenger-big, with 220 of Buick's finest horsepower. 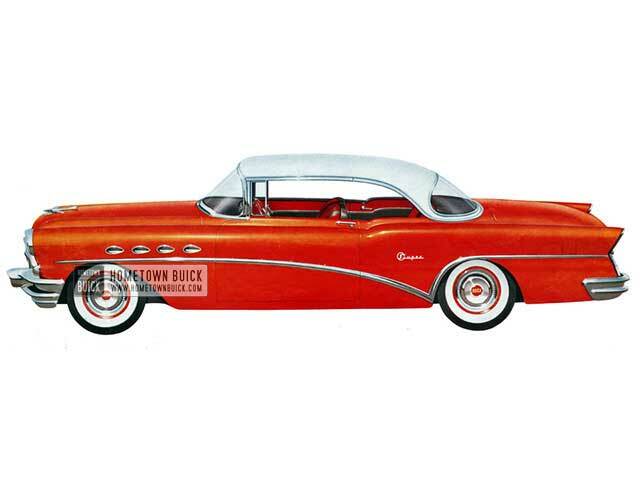 And equipped - as all Buicks are - with such wanted features as StepOn Parking Brake, front and rear direction signals, heavy insulation against heat and sound, trip mileage indicator, Redliner Speedometer and more. You see here solid proof that a small price need not buy a small car. 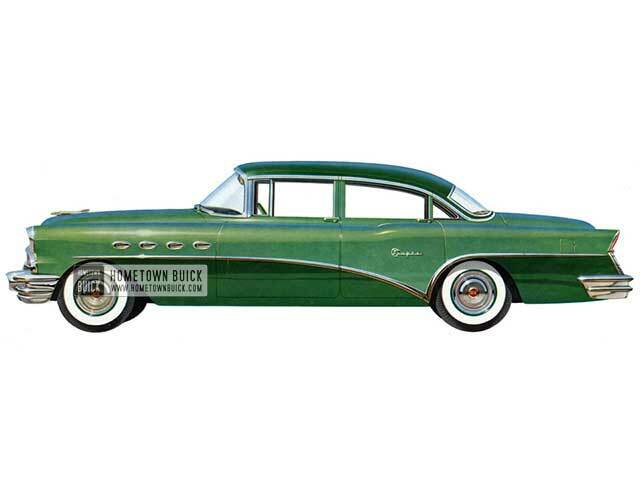 For the Special Series is big Buick value at its best in ride, power, and room - but at a price in line with that of the well-known smaller cars. 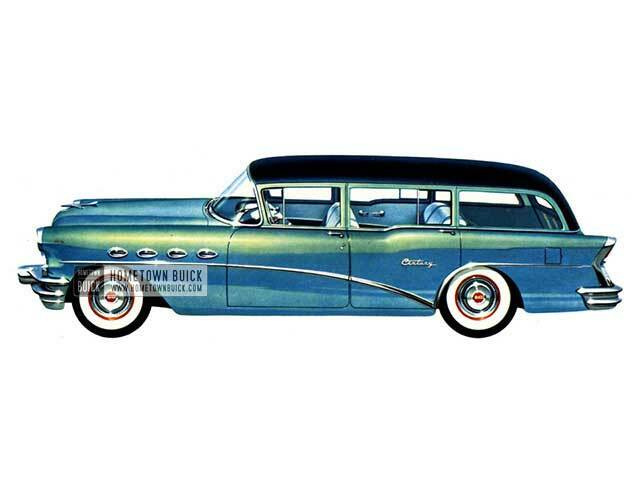 To the impressive list of extras you get at no extra cost in the 1956 Buick Special Sedan (Model 41), you may add your choice of Buick's many fine options, such as Variable Pitch Dynaflow, Power Brakes, improved Safety Power Steering and Buick's new 4-Season Airconditioner.